Dan joined Advantage Credit in March, 2014 and brings with him over nine years of experience in the credit reporting industry. He has performed a variety of tasks that include assisting consumers and supporting companies from across the country. Prior to his career in credit reporting, he was in the banking and mutual fund industry. 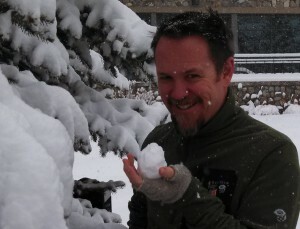 Dan was born and raised in Cincinnati, but is a huge fan of life in Colorado where he currently resides with his family in Windsor, CO.
Dan enjoys reading books with his children, especially the Adventures of Calvin and Hobbes, snowshoeing in the mountains, kayaking, and still plays soccer. Among other activities, Dan continues to perfect his wine making techniques and is always open to offering/accepting helpful insight.